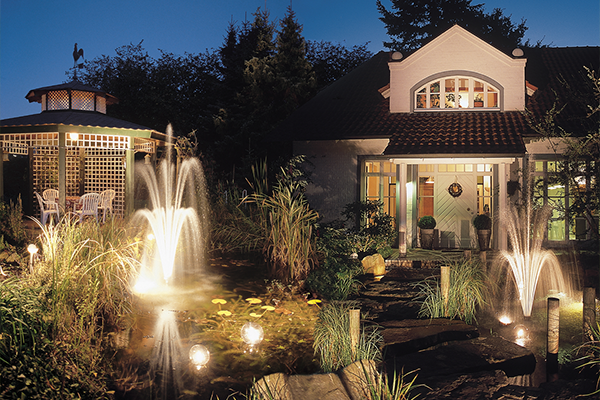 Our garden & pond electric products include outdoor switchboxes and remote control units; for on/off appliance control and speed variation with asynchronous motors. Power management products; for connection and control of garden and pond electrics. Outdoor switchboxes and remote control units; for on/off appliance control and speed variation with asynchronous motors. Weatherproof junction box; for splitting cables to different appliances. Outdoor electrical box; for installing non-weatherproof electrical items outside. Cable joiners including IP68 connector; for joining underwater power cables. Garden cable, circuit breakers, solar panels and solar accessories. Pond equipment such as aerators, pumps, lights and UV Clarifiers require electricity to operate and there is a variety of means to deliver power to these units. Some options will provide a fixed mains feed, others will be switchable and some even allow you to use a remote control. To decide the most appropriate way to power your equipment you may wish to look at the amount of time the unit is running for at any given time, and the power its consumes whilst doing so. Items which are intended for 24-hour use are best left with direct mains connection with an isolation switch. Some items however are purely for aesthetics such as a fountain, which will be turned on and off as and when the user pleases. In these scenarios either a switch box or remote control are most suited. 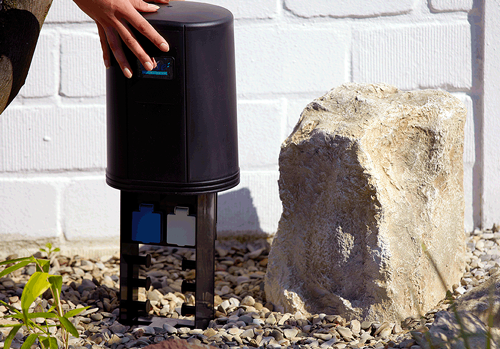 Water Garden can offer a variety of means to power your pond and garden equipment, each option has its own benefits. 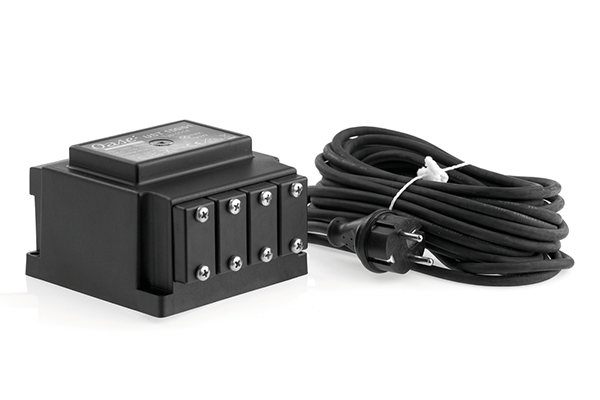 Weatherproof switched distribution boxes are a very simple way to distribute power amongst your equipment and are a relatively fail proof option, offered in sizes ranging from 2 to 5 power outlets each one is switched to give the user the ability to turn items on and off independently. Remote control power distributors such as the Inscenio FM Master 3 allow the user to switch items on and off from a range of 40-80 meters, the later generation Inscenio FM Master WLAN removes the need for a remote control and operates via a smartphone or tablet app through a WiFi connection. OASE have now recently released their EGC (Easy Garden Control) equipment range featuring intelligent pumps, filters and lighting which communicate with the controller via EGC (DMX-RDM) communication cables. This allows the controller to communicate much more complex requests to the units such as dimming, alternating functions such as dancing pumps and lighting and also fault-finding reports. The Inscenio FM Master WLAN EGC or the Inscenio EGC Control Cloud are required to enable EGC functionality with this equipment.